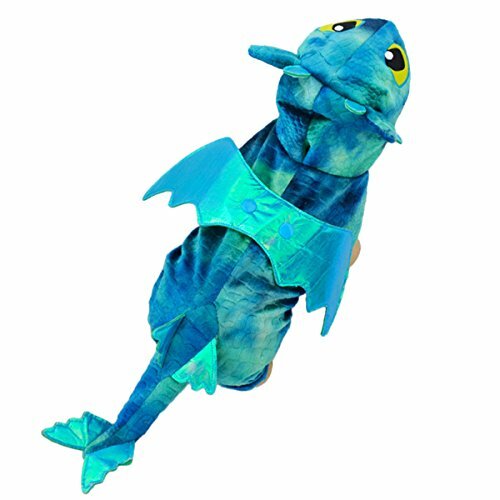 Item Description: - Costume is made from fleece fabric and polyester - The attached hood has a hole at the back for a leash - Dragon wings are easy to attach and remove - A stuffed dragon tail sewn to back - Press stud fasteners underneath Size: XS- Back length: 11.5cm/4.5"; Chest:27cm/10.6"; Neck:20cm/7.9" S- Back length: 16cm/6.3"; Chest:32cm/12.6"; Neck:23cm/9" M- Back length: 18.5cm/7.3"; Chest:37cm/14.6"; Neck:26cm/10.2" L- Back length: 23cm/9"; Chest:44cm/17.3"; Neck:29cm/11.4" XL- Back length: 27cm/10.6"; Chest:49cm/19.3"; Neck:32cm/12.6" Note: - Please be aware that colors might look slightly different in person due to camera quality and monitor settings. - Please allow a little bit of size deviation due to manual measurement. 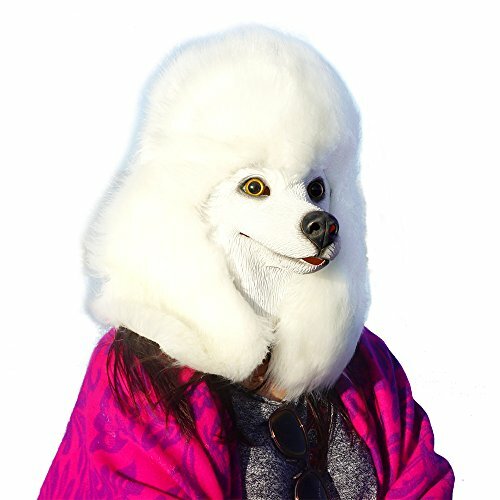 KUDES Pet Dog Face Mask Pet Entertainment Spoofs Funny Cosplay Mask, Which is beginning of a Internet Star for Your Dog! 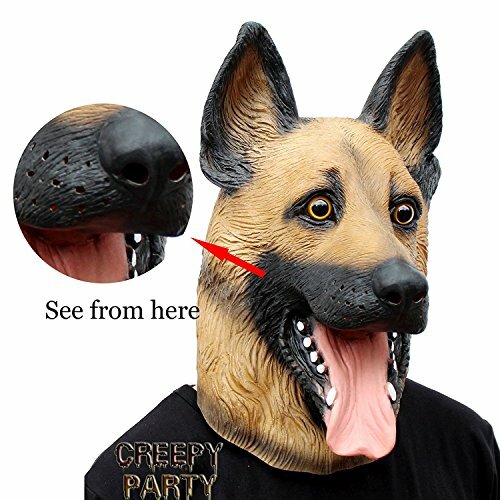 Specification: Type: Dog Mask Color: Pink Material: Latex Size:(Width*Height): 24cm*18cm/9.5'x7'( Universal, Rubber band adjustable ) Range: Suitable for small and medium-sized dogs Features: 1.Made of high quality latex, durable to use. 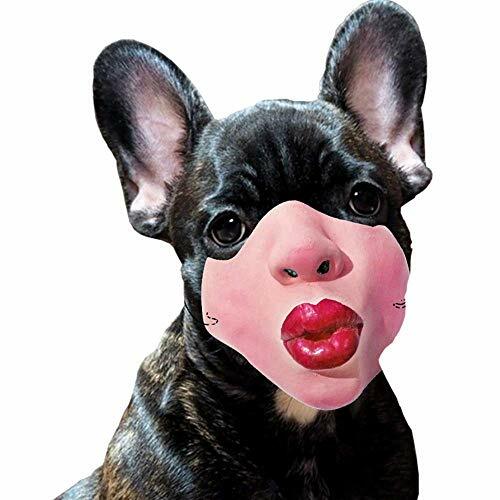 2.Face design wound be very funny, give you more pleasure and enjoy the time with your dog. 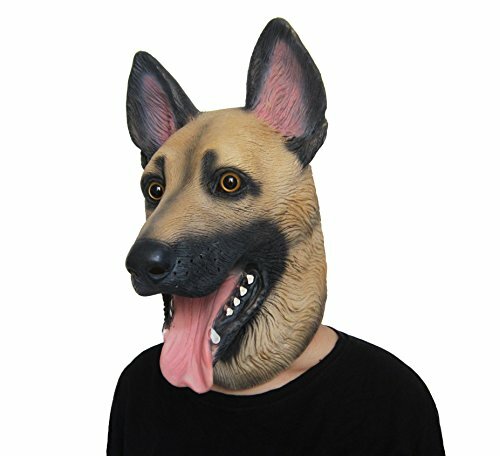 3.Dog mask can prevent your dog destory the furniture, and your kids is very safe. 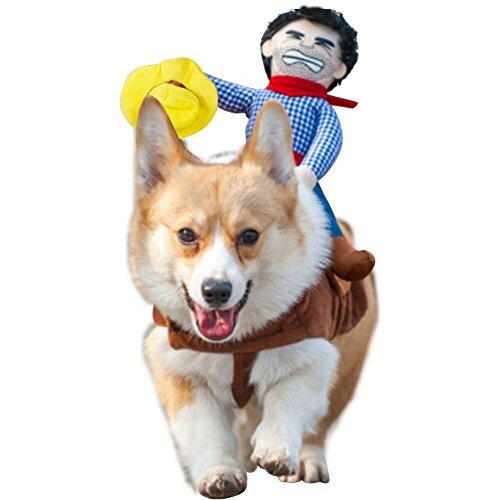 4.You can bring your dog out more safely, they won't scare people, also prevent accidently injurying or barking. 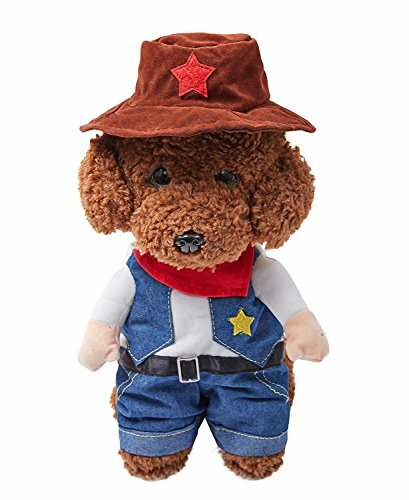 5.Wearing It Can Turn Your Pet Into A Network Star On The Yuotube! 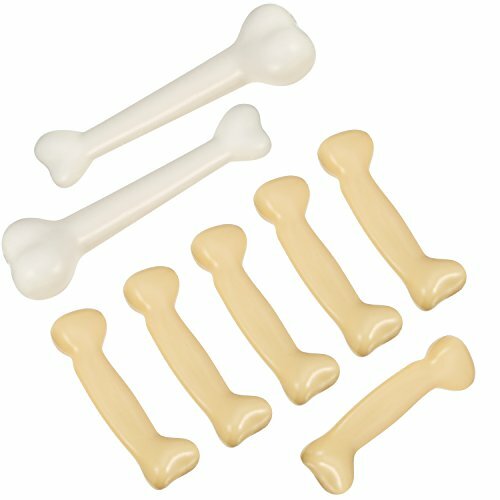 Notes: 1.The latex product may have smell, place it in a ventilated area can reduce the smell. 2.Due to the different monitor and light effect, the actual color of the item might be slightly different from the color showed on the pictures. Thank you! 3. Please allow 1-2cm measuring deviation due to manual measurement.